Travel to new lands ; a step forward to escape from constant and go our homes ?! lore Travel to new lands ; a step forward to escape from constant and go our homes ?! Nowadays everyone talk about winona , wagstaff and upcoming refreshes/adding character , but i want to discuss somthing new and big ! the big update of dst that coming april and even change the title of the game , means " a new reign " gonne change.
" Survivors will be able to travel to new lands with new biomes, creatures, and more. " 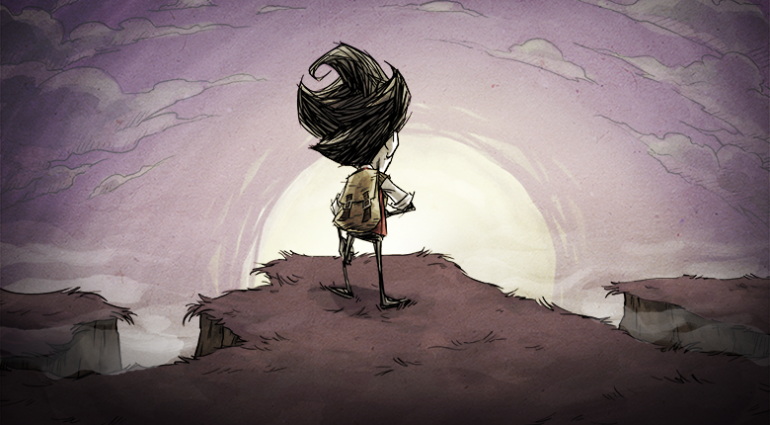 Similar to "A New Reign" Don't Starve Together will once again receive new content updates primarily centered around a elements that progress the world of Don't Starve and the Survivors that find themselves within it. so where is this new land ? and how we travel to there ? and what's we see there? i think we travel to moon and by ancient gateaway or celestial portal . and the begining of these series start with intrdoucing wagstaf , because i saw somewhere that said wagstaff and winona although was in timeline of other characters but wasn't in "their land" ! so where they were? i think the land of wagstaff is somehow related to the new land is coming. i know traveling to moon via portal seems fantasy but i started this topic to discuss about future and how we can back to our homes instead of talking about past and backstory lores.i think this new upcoming land is a step forward to escape from constant ! we learned survivle tactics(in ds/dst) and cooperation(in forge,gorge) NOW it's the time to use them to meet " them" the true enemies and release charlie and get back to our homes ! 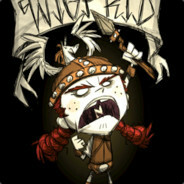 klei said travel to new lands and promiss big permanent updates in mid april such as " a new reign" , so put your speculation here and get hype ! wolfgang “Hehe. Is funny little moon man. they all seggest that someones live in moon and are worthy to make idol of them and have powerful powers , may be useful "allies" ?! and also consider this too celestial tab is still under construction and klei promised that will add more content to it , maybe we get more info about moon habitants ! may be moon is light magic and we created a force to defeat dark magic , and consider this too still didnt found any use for opal gem . the moon doesnt glow. its the star venus which makes him glow. the monn just reflects the light. Symbolically in Abrahamic mythologies. Otherwise both are rocky celestial bodies. Also just pure speculation - Venus isn't allured anywhere in DST context in any shape or form. also consider this too moon of the constant is different from our moon ! so maybe constant moon has its own light ! I don't think the characters are gonna be able to return home and if that's the case then you shouldn't be able to play the character that escapes. That doesn't make much sense to me considering the lore. I think that we are probably gonna be able to travel to other continents. Maybe something similar to the "Worthies" in DS. yes we can't play them , and this series will end . so we not see this soon , maybe several years later . but with this new backstories that emphasis homeland of charecters , i think at the end we can come to our world. i think its like a game , like Jumanji book , so finally we can come out of the game. this core update that come in april i think is a step forward to go home , by revealing more info about" them " and how release charlie ! that's the point. I don't think DST is a game that you "beat." It's pretty much like a never ending cycle of deaths to realize you'll always be trapped no matter how hard you try... and when you realize that then you decide to make your stay as bearable as possible. that's a very big stretch. I mean she literally is half of the most powerful one from them. Powers of the darkness : abillity to literally free a person from the throne, making her stronger than the *THRONE* which allows people to persist death, create literal godly entities ( ahem giants ahem ) and then she literally takes the throne to herself ( the real charlie and the darkness both ) while still killing people in the dark. And they did merge into Queen CharlieOC/TM? after all. that's the point... I don't think DST is a game that you "beat." It's pretty much like never ending cycle of deaths to realize you'll always be trapped no matter how much you try.. and when you realize that then you decide to make your stay as much bearable as possible. i think this cycling of death is a somesort of "learning" not a trap. learning basic rules of this world . like persist hunger ,health,sanity,coldness,bosses ,... and such thing we learned in ds(and dlc) . so with a new upcoming spin off like " a new reign " we can now continue story and use our surviveling knowledge(and also maybe new powers) to overcome "them" ! yes releasing her is beyond our powers now , but i think in upcoming core updates will introduce new powers to use of them . also consider this too, part of the queen charlie is helping us , like releasing wilson in maxwell's dimension to with help eachother created Jury-Rigged Portal, otherwise the charecters was always separately . and they will be forever. Gnaw's favors did that because he thought it was Goat peoples currency and didn't think that Mumsy of all Goats had the key. Charlie isn't helping, there was wilson and maxwell permanently in the constant, the Adventure mode teleports you back to the Constant if you die, and same went with both maxwell and wilson ( maxwell in Adv. mode and Wilson in ANR cinematic ), charlie just killed wilson in the subdimension with the throne. Don't Starve is a cycle yes, but that doesn't mean it can't have "an end". Although I think it's unlikely it's very possible. If we're going with the "endless cycle of death" idea there still remains no problem. Each time they die they learn for the next life, and soon enough they're thriving. So they begin to explore. In DS this exploration resulted in dethroning Maxwell by passing Adventure Mode. The Story Progressed. Sure it could take hundreds, thousands, millions of attempts but they'll get closer and closer. But in one of those cycles they may do it. They might finally manage to escape. If the cycle was so rigid that no progress could ever be made then Adventure Mode wouldn't exist. Maxwell would never have been freed and Charlie would have never ended up on the throne. The survivors would have never killed the Fuelweaver and went through the Ancient Gateway. So they never would've reached the Forge or Gorge. "Oh but Zeklo, I haven't done that." Well, then you're still in the early part of the story. Progress is being made. They have endless amounts of time. It can result in a resolution. This plot reminds me of Dungeons and Dragons anime. thank you for confirming me zeklo , the master of speculations ! first i played "dont starve" i think it's just a simple survival game that we die thousand times and learn to live by dieing , and at the end build a megabase in that and become the god of that world. then i find these characters have a "real life" outside this world .that makes this world worthless even be a god in that. for example think that logo characters inside mincraft were real persons in real life not pixely , so your effort isn't any more to live that survival world , even you have a megabase in that because it didn't worth when you are pixeli , so you try to become real and get outside of that sandbox and go your home ! i think "dont starve" game is somehow like "forest" game , because there is an end , and you try to learn to survive and reach that end , and this end is come back to your "home" not living in jungle and build a megabase there ! 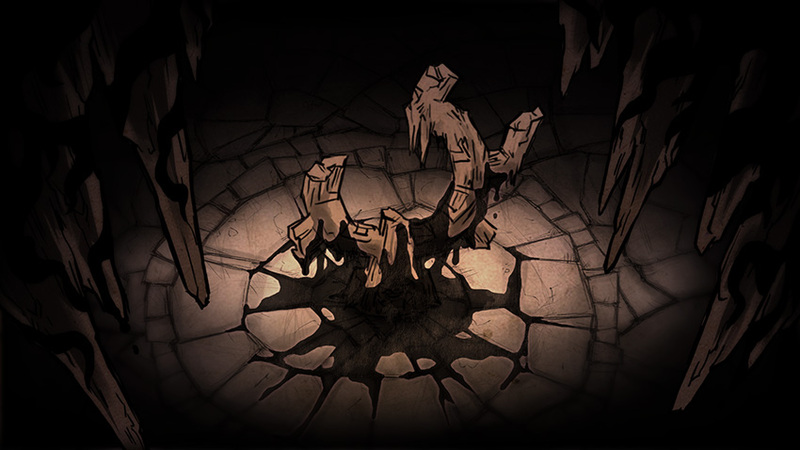 i really hyped for what you plan next klei , to traveling new land , and become closer to our release ! actually for me is no doubt that charlie is the venus. the charachteristic of the venus are her 2 sides. good (luzifer) and evil (s atan). the red rose is a sign of the venus and all the other symbolic do approve her as venus. but my english is to poor to discuss such things sorry. I'm kind of hoping for some more illuminati and cult related things surrounding his character a la Kubrick's Eyes Wide Shut. 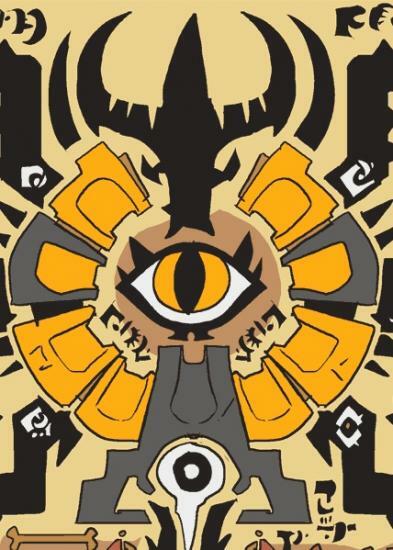 I'm kind of hoping for some more illuminati and cult related things surrounding his character a la Kubrick's Eyes Wide. Lol good lord. Kids play this game man. Do we really need Maxwell to have participated in wild orgies and getting high off fresh Adrenochrome? That would be a bit much.